From the #1 international bestselling author of The Orchid House—an epic saga of two remarkable women and two love stories spanning the years from 1920s India to modern-day England.For American actress Rebecca Bradley, it is the role of a lifetime: She will star as a 1920s debutante in a film shot entirely on location at a magnificent English country house. The remote setting and high walls of Astbury Hall will provide a much needed refuge from the media glare that surrounds her every move. When Lord Anthony Astbury sees Rebecca in costume, he is stunned by her uncanny resemblance to his grandmother Violet, a famous 1920s society beauty. And when Rebecca discovers a manuscript written by a young Indian woman who visited Astbury Hall in the 1920s, she learns of a love affair so passionate and forbidden it nearly destroyed the Astbury family—a secret Lord Astbury himself does not know. As Rebecca is increasingly cut off from the modern world, Violet’s presence starts to make itself felt in unsettling ways. 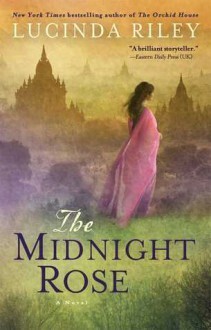 In the gilded years before World War I, Anahita is a bright and curious Indian girl who never thought she would come to England. But as the companion to a royal princess, she is given rare access to a world of privilege and is sent to an English boarding school. When she meets young Lord Donald Astbury, they share a special bond that is only made stronger by their harrowing wartime experiences. Pressured by his family to marry Violet, an American heiress, Lord Astbury must say good-bye to a love that will haunt him for the rest of his life—and inspire a romance for the ages. As Rebecca tries to understand her connection to a tragic love affair sixty years in the past, the story of Donald, Anahita, and Violet unspools to its own shocking conclusion. For Rebecca to find a way back to the life she was meant to lead, she will have to put to rest the ghosts of Lord Anthony’s ancestors or risk repeating their downfall herself.